Last week, I went hunting for the nymph of Pasig River. And it was successful. The following day, I wondered if I could duplicate the same result but for a different search. Some months back just before that trip to Rizal, I have already looked for the nymphs of Laguna de Bay. But I never found them. I could remember being so frustrated because I wanted so much to find them yet didn’t. What was fortunate is this: I have finally succeeded! I could practically swear that I was just retyping the same search words I used in March but last week yielded better results. All thanks to the insistence of this particular thought: read the list of poems. I couldn’t deduce anything from the titles. So I thought of skimming through each one that was available online. I didn’t have to read much because I easily found them from one of the most well-known poems Francisco Balagtas penned. n͠g lubháng mapanglao na Musa cong imbi. my forlorn muse implores you. If your memory fails you – like mine did – that is the twentieth verse (or stanza) of Francisco Balagtas’s Para Kay Selya (Original: Cay Celia; English: To Celia). Strange that I did not think of looking for them in that poem months ago. The modern Filipino would usually translate the English word nymph as nimfa, not ninfa. But, being a piece of classic Filipino literature, I thought Balagtas would’ve used mutya instead. Again, like the poem of Nicanor Abelardo, the nymphs are unnamed. I guess that is to be expected because they are not the subject of the poem; they are merely elements mentioned in passing. One more thing, Balagtas refers to them in three ways: nymphs, sirens, and muses. While the three terms have connections and similarities in mythology, they are separate and distinct groups of women with respective functions and abilities. Interestingly, he blurs those lines and seemingly makes them as one, creating a supposedly new group of female creatures. I cannot claim that they are unique to Philippine literature but I am certain that this is my first time to realize ideas after I have read about years ago. 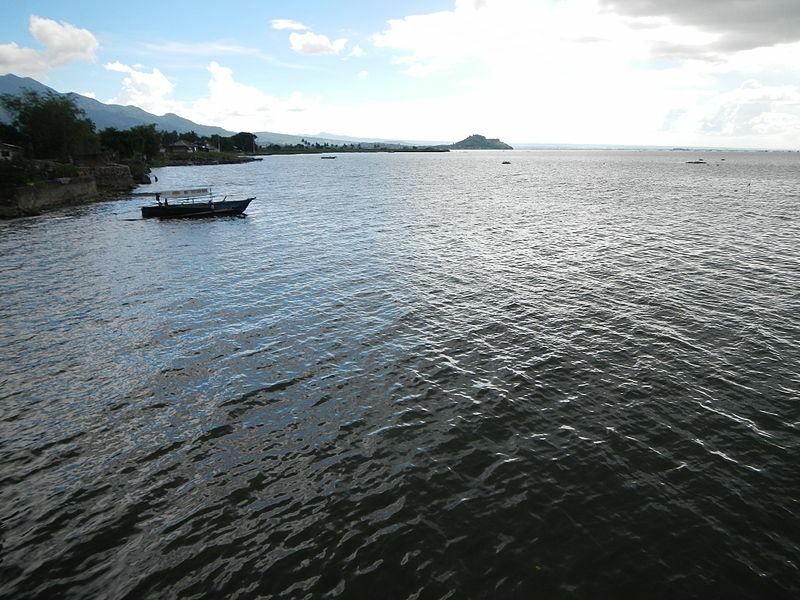 Predictably, the typical Filipino knows the place by this name: Laguna de Bay. An online contact translated the name as “bay of bay”, which sounds silly. Yet, if taken piece by piece, that is one of the possible results and would not sound as silly. Could you spot the difference between the name of the place in the original version of the poem and the current version? The “laua nang Bay” and “lawa ng Bai” are different in a number of ways, not just in spelling but in grammar. Anyway, with what little I know of Spanish, when people refer to Laguna de Bay as Lawa ng Bai, I just dismiss it as the lingering influence of the conquistadors: the y could sometimes be pronounced as i, though I have no idea how that rule goes. I chanced upon a lesser-known piece of folklore: The Legend of Mangita and Larina (Ang Alamat Nina Mangita at Larina). While the story is entertaining and was set in the area, one source provided more information: in old Tagalog, bai – which has two syllables – means “princess” and the i is pronounced with the long e sound. According to the site, it is the name of the first and only village the Spaniards founded near the lake. It still exists today. It was the Americans who pronounced the name as “bay” just like the English word and inadvertently passed it on to others. And that is the knowledge that we have now: a twisted form of a once beautiful name. After reading the story, the wheels in my head began to turn. When I began this search, I had questions. As I end it, I still have questions. What is the plant? Is it the common water lily or something else entirely? Do the girls’ names have particular meanings that are significant to the story? What city was the destination of the father? What is the disease that killed the father? Was it an outbreak or an epidemic? What was the cure? Were the seeds real and existing or magical and inexistent? Is the fairy or one of the girls the namesake of the village? Is the fairy from the legend the same as the nymphs of the poem? I just have too many questions, don’t I? Unfortunately, I do not have sources for the answers.